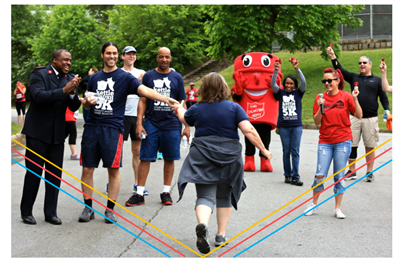 Nothing is better than a race with a great after-party... except a race with a great after-FESTIVAL, Run the Kettle Krush 5K and stay for the Sanford Streetfest! Through this event, The Salvation Army is raising money and awareness to "KRUSH" poverty and to provide the resources that people need to become self-sufficient and productive members of our community. What is better than beautiful springtime in Downtown Sanford? Enjoying a fun 5K run/walk that winds through our downtown streets without vehicle traffic! Runners and walkers will start and finish on Wicker St. near Hugger Mugger Brewing Co. Running strollers are welcome, though we ask that you start toward the back of the race. In addition to the 5K, there will be a short-distance Kids' Fun Run (ages 5-12). Can't make it to the event? 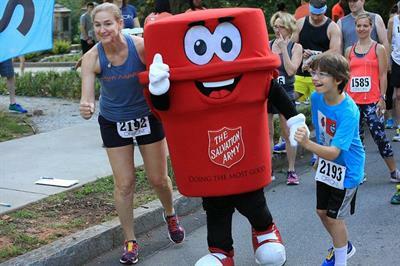 Support The Salvation Army of Lee County by registering as a "Virtual Runner". After the race, stay for the Sanford Streetfest starting at 10 am. This day-long street festival features be food trucks, musical bands, crafts, and activities throughout the day. The fun will conclude with fireworks at dark.